This numeral can be placed on the Whitehall DeSign-It Oval Plaque or the Whitehall DeSign-It Arch Plaque to create your personal address. The numeral includes a positioning guide, assembly instructions, and a strong adhesive. 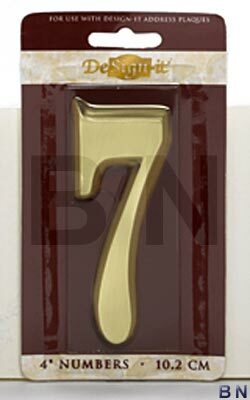 This die cast metal number will hold in place and add style to your home year after year.